We offer custom construction to customers, who did not find a suitable house design in our offer. Our designers implement many innovative solutions, taking the needs, expectations and guidelines of investors into account. 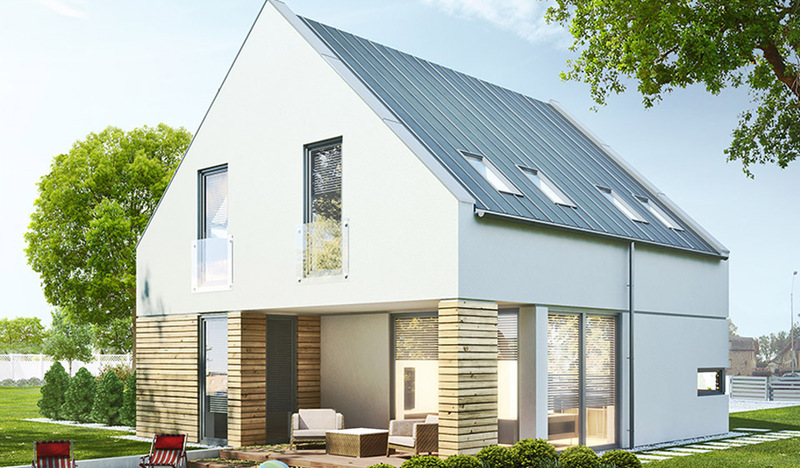 Prefabricated houses built on the basis of custom designs are original and unique. They feature an innovative nature of the structure and unconventional solutions regarding the utilisation of usable surface area. A custom design is a design drawn up according to the detailed assumptions of the customer. The design process starts with hearing the investor’s needs, preferences, suggestions and expected benefits. We go to see the site to get to know the plot and its surroundings, to optimally use their advantages when designing the building. We prepare a design concept, which is used to perform the analysis of land development and management of the site. It consists of computer-generated visualisations of plot use, individual floors, external façades and perspective drawings of the building structure. After the approval of the concept by the customer, we proceed to prepare the land development design and the architectural and construction design. Within the framework of the latter, our designers and architects draw up the following: an architectural design, a structural design, designs of the sanitary, heating, electrical and telecommunication systems. The finished design is completed with all necessary decisions and approvals, and subsequently we obtain the building permit on behalf of the customer. We are able to prepare and execute any design in our own design studio. We guarantee a fixed price of our buildings. Stosunek powierzchni do funkcjonalności pozwala na uzyskanie optymalnego i energooszczędnego użytkowania budynku. Niska wartość współczynnika U oznacza niewielkie ubytki ciepła, co powoduje utrzymywanie stałej temperatury wewnątrz budynku. Optymalizacja pomieszczeń pozwala na wygodne użytkowanie obiektu mieszkalnego.